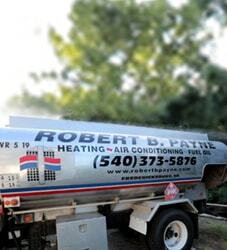 Best Air Conditioning & Heating Service Stevensburg, VA | Robert B. Payne, Inc. 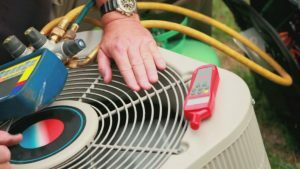 Your air conditioning and heating system requires attention. When something goes wrong, you want prompt repairs. Before something goes wrong, you want routine maintenance. 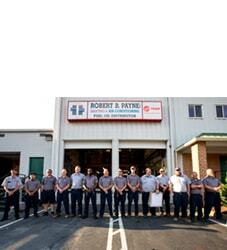 Only Robert B. Payne, Inc. comes through in a pinch and provides every service you need. We offer top air conditioning and heating service in Stevensburg, VA. For all your HVAC needs, give us a call! With a long-standing focus on customer satisfaction, Robert B. Payne, Inc. works with the community to provide efficiency and comfort. We offer professional installation, routine maintenance, and prompt repairs – all services that we guarantee to be of high craftsmanship. When you want the job done right, you call us! Our contractors are familiar with all modern HVAC systems. They are capable of increasing the efficiency of your unit, reducing the need for repairs, and extending the lifespan. These are benefits you simply cannot do without. A thorough maintenance plan should leave your HVAC system clean and efficient. At Robert B. Payne, Inc. we have a plan in place. We clean the entire system, swap out the old air filter, and check to ensure all parts are in working order. If we spot something wrong, we handle it! 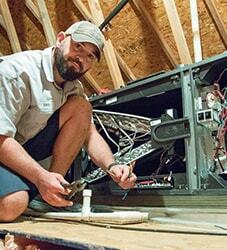 Whether you’re dealing with a broken thermostat or uneven cooling throughout the house, our contractors are equipped to handle the repairs. We only use tested parts, ensuring the repairs we perform stick. Furthermore, we can have your system running smoothly that very day! Take advantage of affordable air conditioning and heating service in Stevensburg, VA. Call Robert B. Payne, Inc. at (540) 373-5876! We serve the entire Stevensburg, VA 22741.